कैसे चुकाऊँ मैं मोल ? तेरे ही अर्पण मेरे प्राण ! गुरु ने सिखाया हमें, नफरत पर विजय हैं प्यार. When it comes to teaching ..you are the BEST.Happy Guru Purnima!! 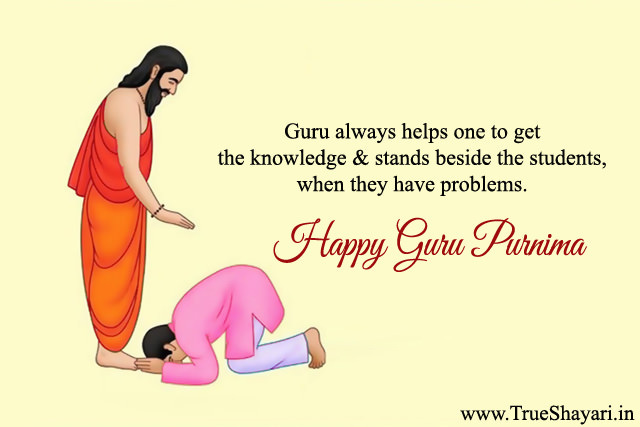 Happy Guru Purnima: Thank you for making me what I am today! A Guru’s purpose is not to create shishya in his own image, but to develop shishya who can create their own image. The best Guru teach from the heart, not from the books. The heart of a guru is filled with enough love and courage to share with an entire classroom. To the world you may be just a Guru, but to your shishya you are everything. Guru is everything in our eternal life, Nothing is possible without him. Happy Guru Purnima! Life needs some power to push you up, Guru is that super power. Happy Guru Purnima!